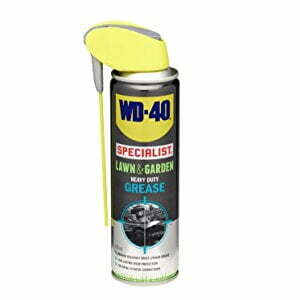 WD-40 Specialist Lawn & Garden Heavy Duty Grease with Smart Straw 250ml; is a Heavy Duty Grease from WD-40’s Specialist Lawn & Garden range. 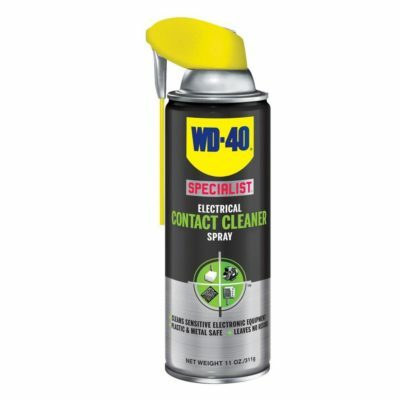 It comes in a 250ml spray can; with Smart Straw for precise or wide dispersion, and 360° valve; enabling upright or upside-down use. Suitable for jobs of all kinds! A thick formulation long-term lubricant, perfect for metal-on-metal connections; especially outdoors. It helps to prolong the smooth operation and life of tools and equipment. This formula is ideal for soil cultivators, wheelbarrow bearings, trailer tow bars, lawnmowers, rotavators and heavy metal gates. For any Questions about our WD-40 Specialist Lawn & Garden Heavy Duty Grease with Smart Straw 250ml; or for Prices on delivery to the EU please contact us. Or; why not visit our Facebook page and follow us? You can see ALL the latest info as it happens! FIRE! FIRE! FIRE in the Hold! 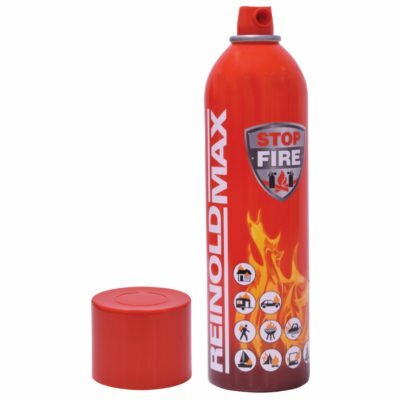 ReinoldMax Fire Extinguishing Spray 500ml. Extinguish Fires Quickly!